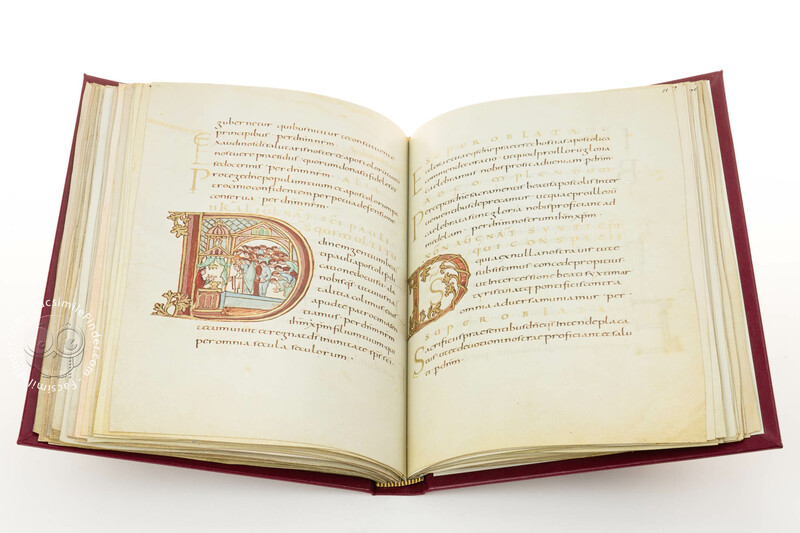 One of the most exceptional manuscripts preserved at the Bibliothèque nationale de France this pinnacle of illumination from the Carolingian period is known as the Drogo Sacramentary. 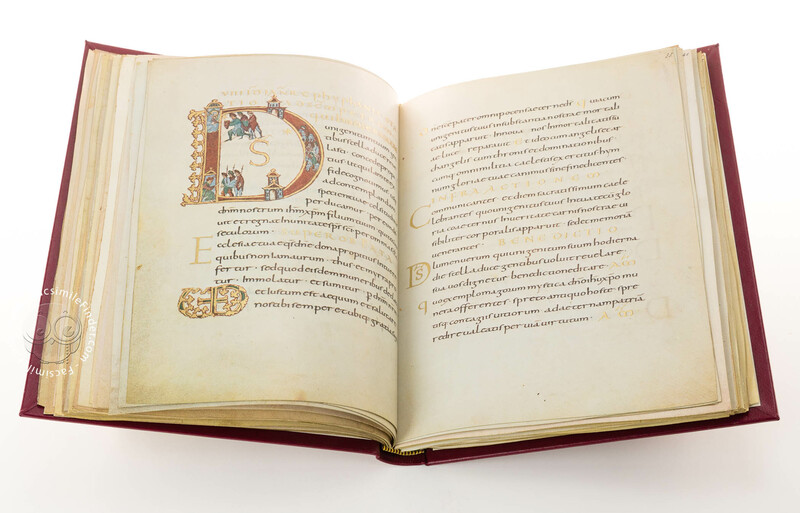 It was copied and illustrated for Bishop Drogo (823-855), an illegitimate son of Charlemagne and a great patron of the arts. 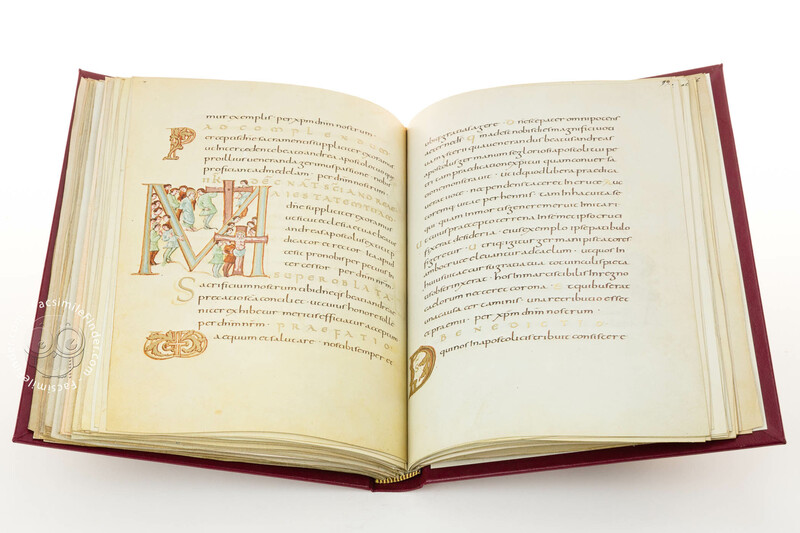 Among his greatest accomplishments, he embellished Metz cathedral with outstanding and awe-inspiring works of art that are recognized as beautiful examples of Carolingian art. 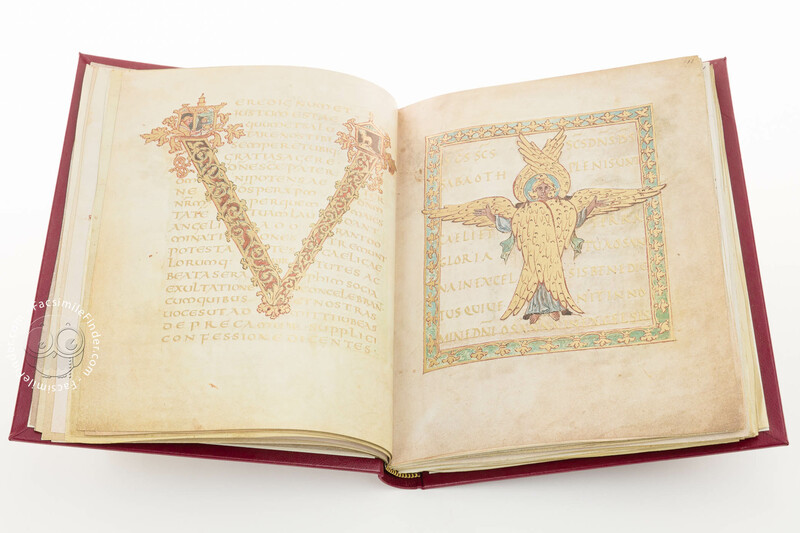 Among them, the Drogo Sacramentary is the latest, most complete and most accomplished one. 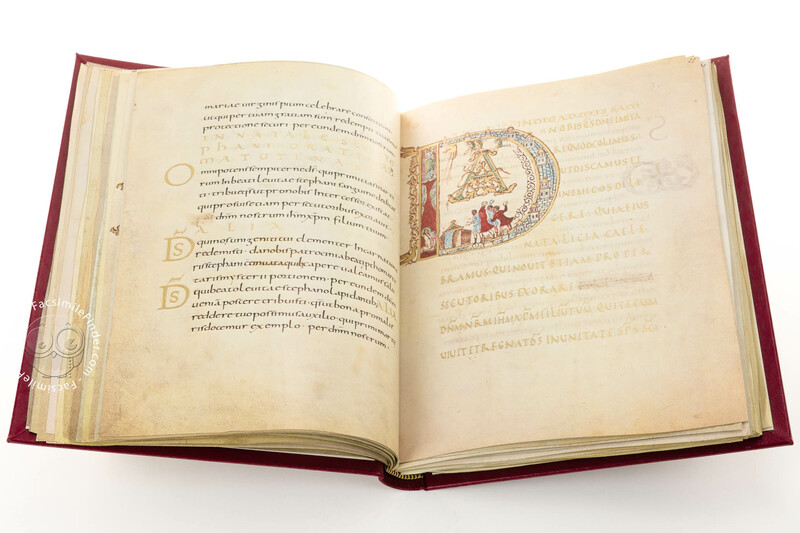 Due to its highly personal features, the Drogo Sacramentary was clearly crafted outside a monastic scriptorium, unlike most other manuscripts produced in this age and region. 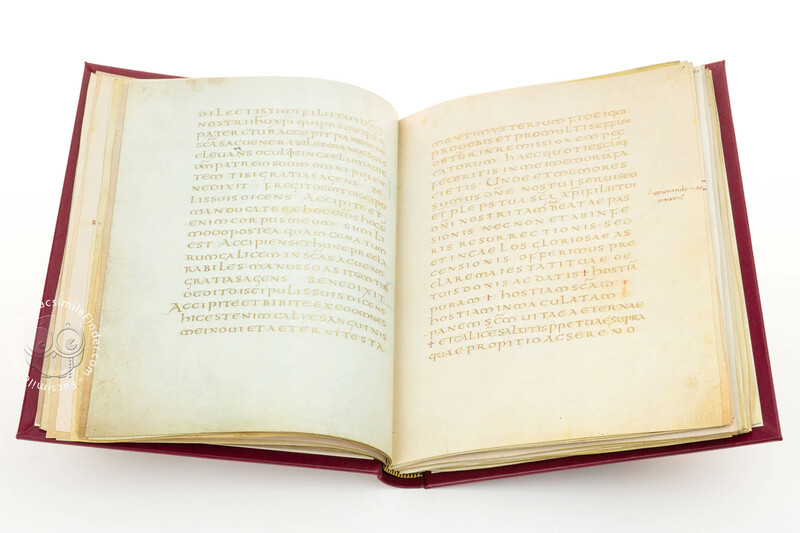 Instead, this exceptional artifact was undoubtedly the produce of a court school. 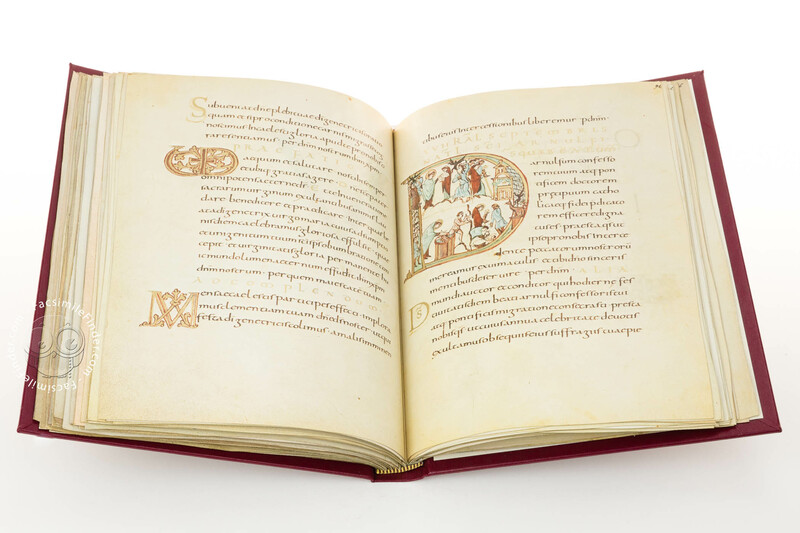 The vastly educated commissioner who gave work to scribes and illuminators in pursuing his own artistic ambition is perfectly reflected in this book. 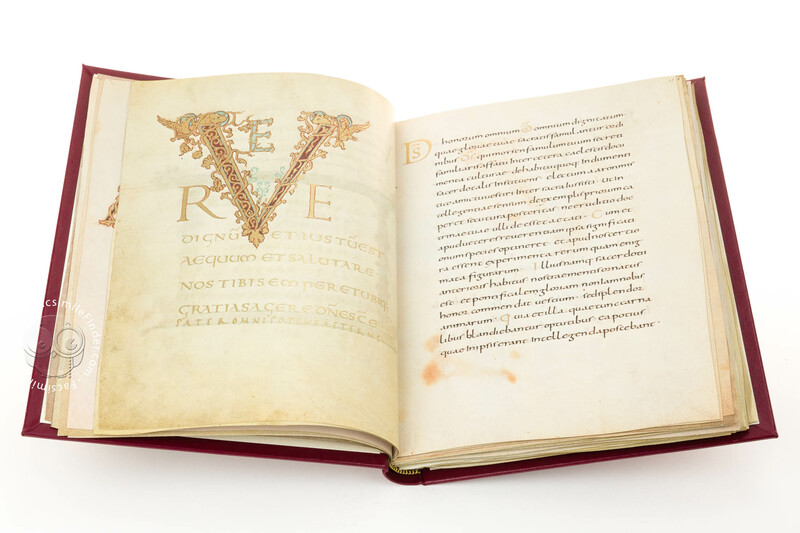 The codex was produced by a team of no more than two/three artists. They were able to unite their skills in portrayal, decoration and the different types of script in an outstanding comprehensive endeavour. 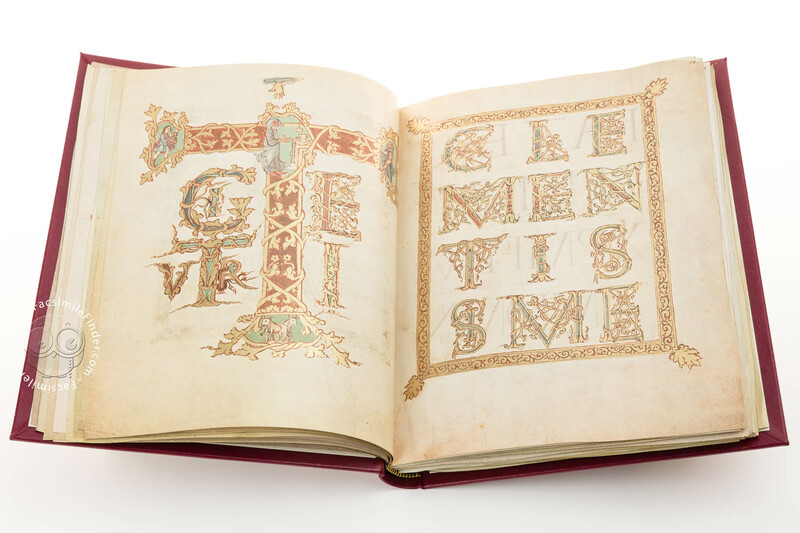 The Drogo Sacramentary's decoration includes finely decorated initials coordinated with the text. 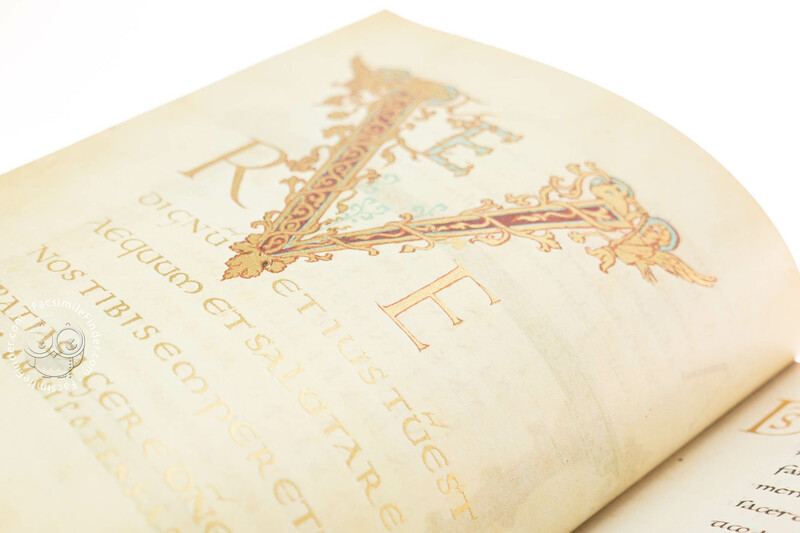 In their simplest style they include golden foliage and rinceaux that wind around the letter's body. 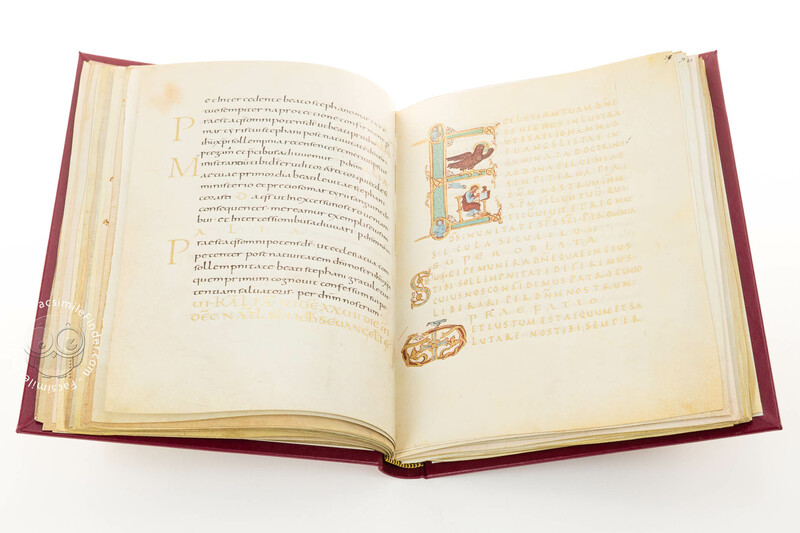 On the other hand, the larger and more opulent pages directly refer to the passages they lead into. 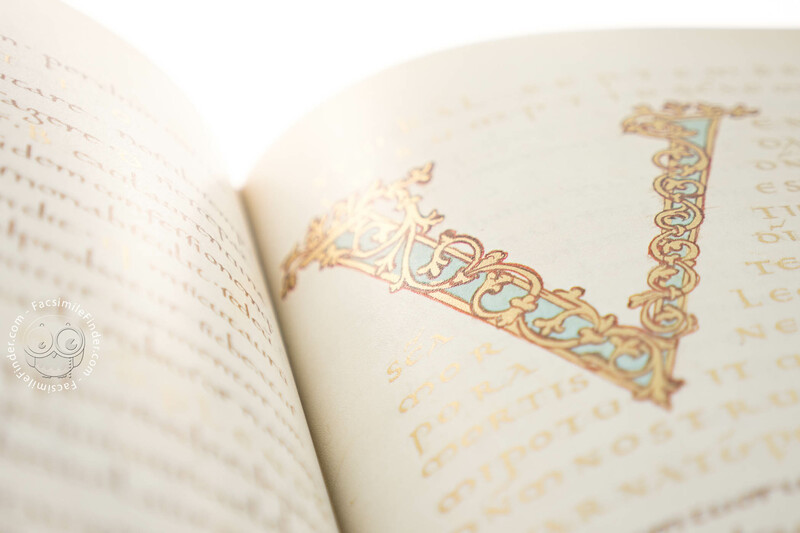 They recount happenings in the lives of Christ and the Saints and their decoration features classical themes such as the vine, but also architectural elements and playing Eroses. 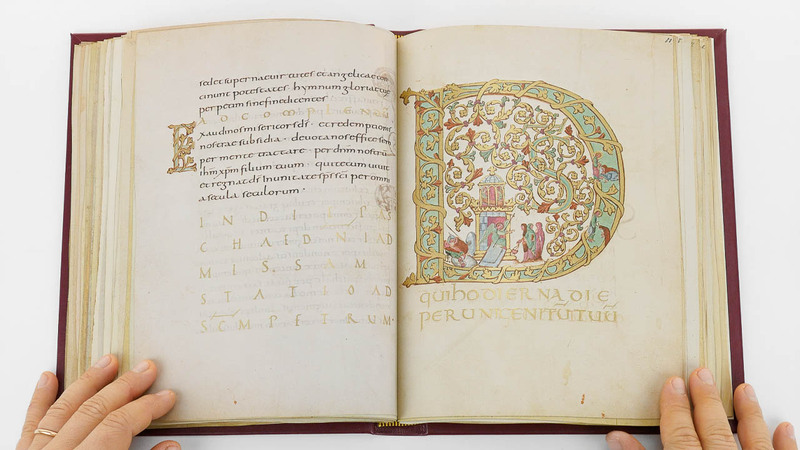 The Palm Sunday initial showing the Crucifixion (fol. 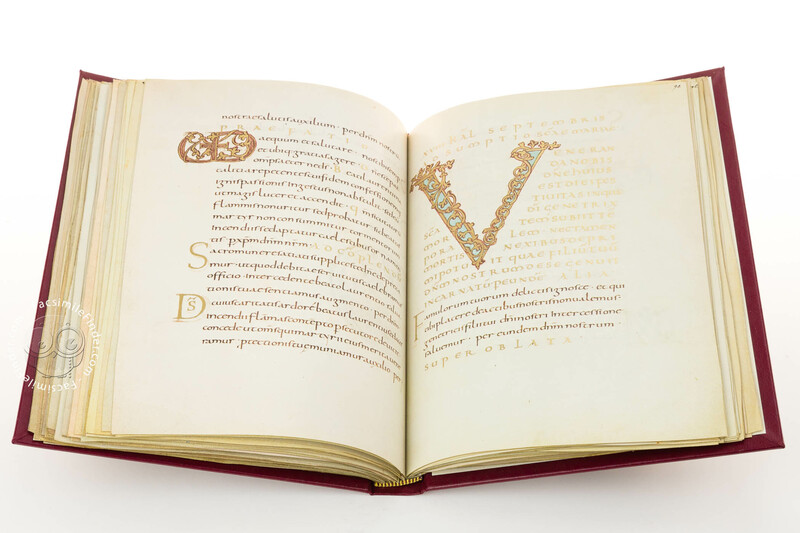 43v) is especially important for the history of Carolingian book illumination. 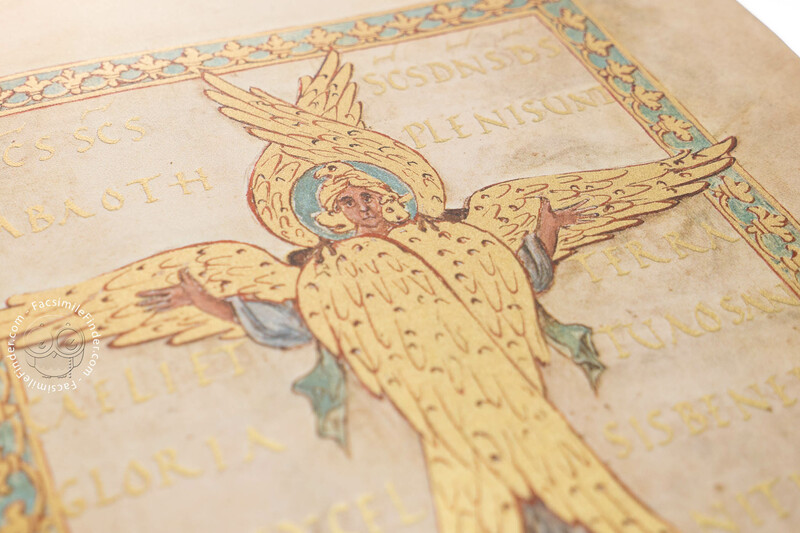 It is the earliest example of a depiction of this theme to include various other figures. 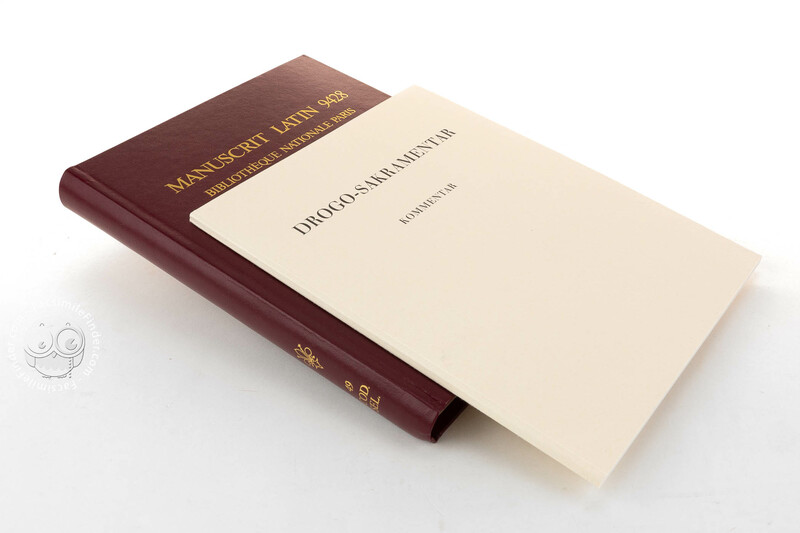 Namely two allegorical characters, the New and the Old Testaments, rest under the Cross. Another striking feature here is that Judaism is not presented in derogative terms as was often the case at the time. Just the opposite: the elderly man representing the Jews has a positive function, indicating the accomplishment of the prophecies and Jesus' triumph on death. On the other hand Ecclesia, a figuration of the Christian Church, gathers blood flowing from Christ's side. 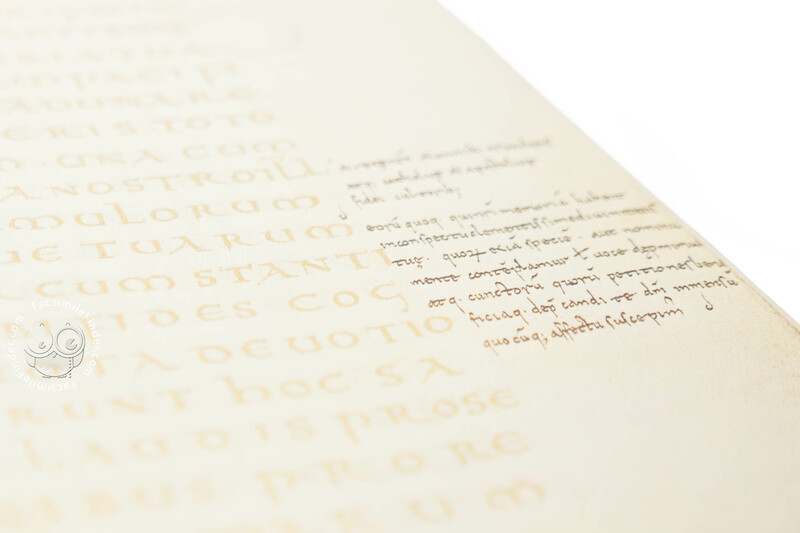 Text in the Drogo Sacramentary is carefully penned in two kinds of script. 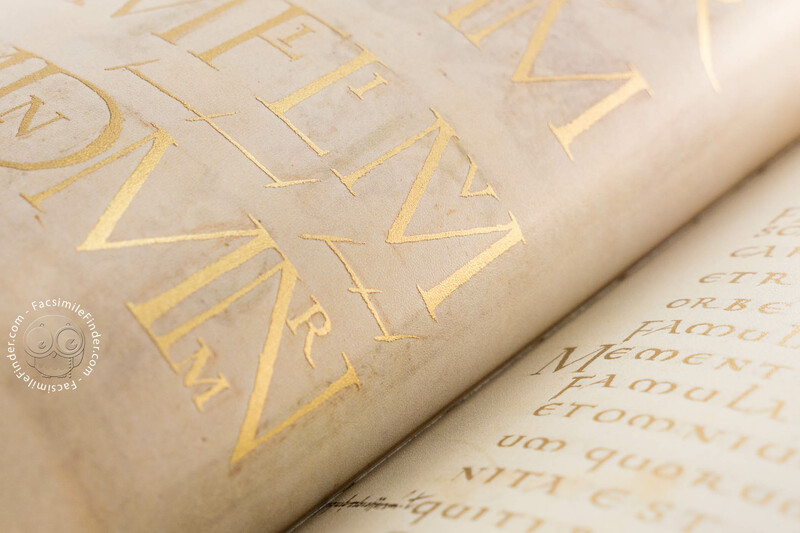 The minuscule one employed for running text features capitals adorned in gold, capitalis rustica and uncials: they are present in all textual subdivisions, both highlighting various passages, but also grading the text's different priority levels. 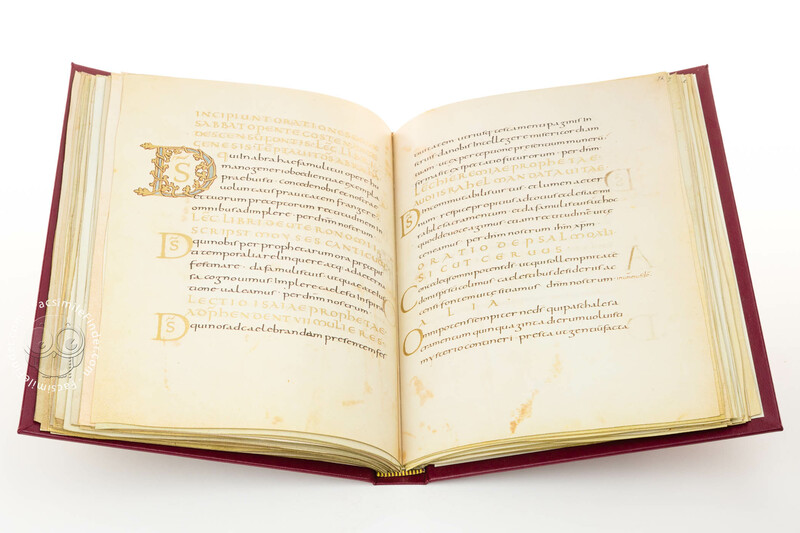 The Canon Missae (fol. 14r-21r), a sacramentary's main bulk of text, is richly and extraordinarily decorated, with its numerous golden initials and imposing frames, the text being penned in bright golden letters. 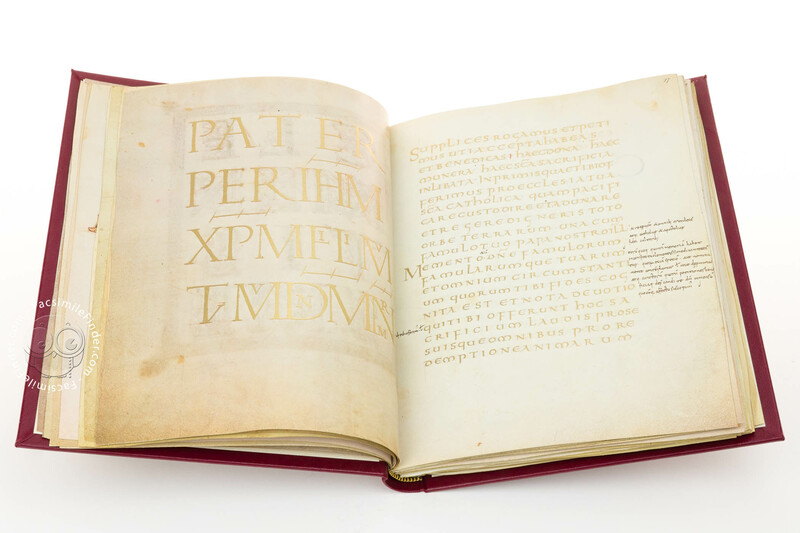 Manuscript book on parchment − 26.5 × 21.5 cm − 260 pp. 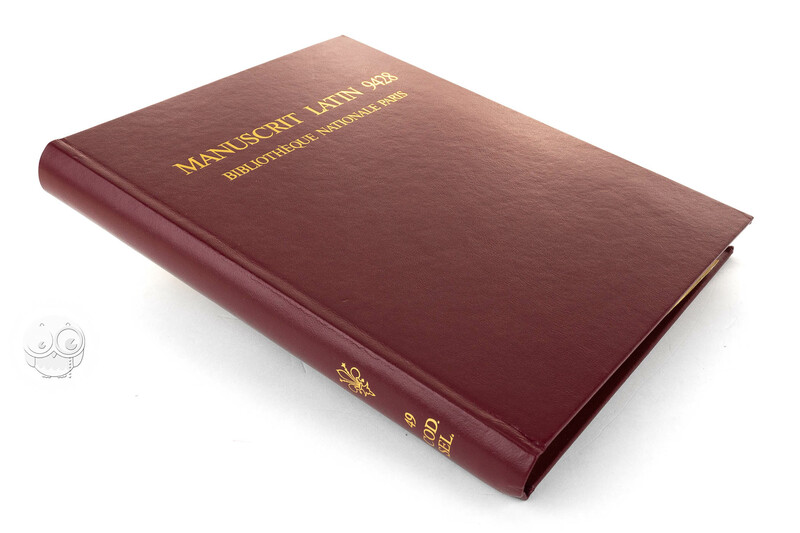 Full-size color reproduction of the entire original document, Drogo Sacramentary: the facsimile attempts to replicate the look-and-feel and physical features of the original document; pages are trimmed according to the original format; the binding might not be consistent with the current document binding.